Adventurer Marco Polo introduced China to the world, and our love affair with this mysterious land hasn’t diminished ever since. 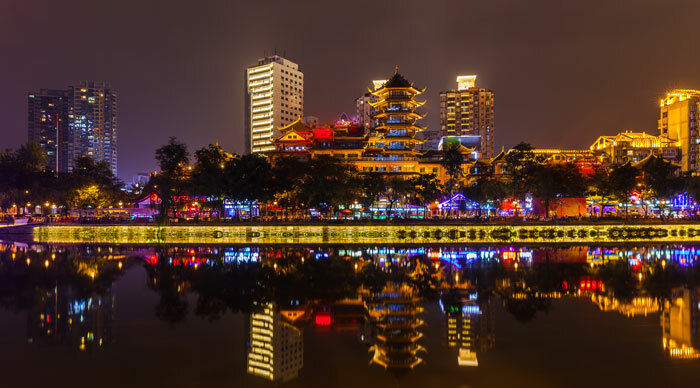 Despite years of economic growth and modernization, China feels exotic and breathtaking, and its ancient traditions and rich culture still find a place in modern-day society. One of the best ways of exploring China is by visiting some of its most popular natural attractions, important historic sites, ancient ruins and majestic palaces. While this list is by no means complete, Bookmundi has put together some of the top attractions to visit in China (in no particular order). 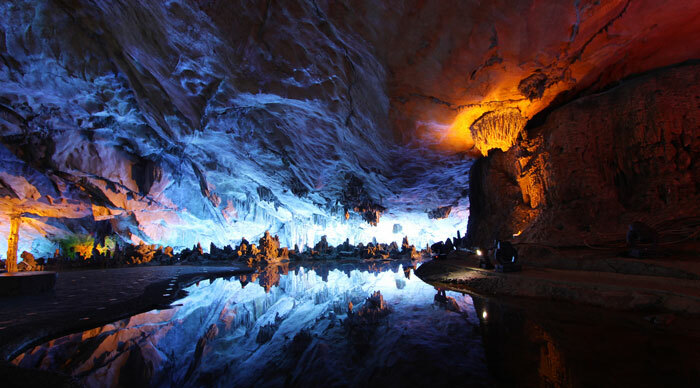 Also known as the Palace of Natural Arts, Reed Flute Cave got its name from the reed found at the mouth of the cave. Legends have it that this reed could be used to create a flute. What makes this place a popular tourist attraction today is its breathtaking collection of stone curtains, stalagmites, stalactites, plants, birds and animals that come in all sizes and colors. The most loved formations are Crystal Palace and Rose Dawn over Lion Peaks. What began as a project to dig up new wells turned out to be one of the greatest archeological finds of China! 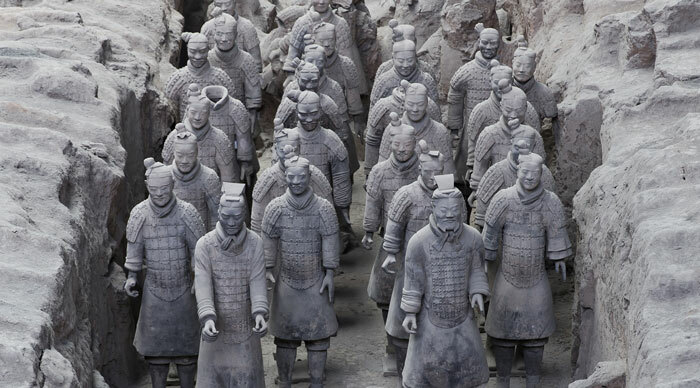 The Terracotta Army presents 8000 life-size warriors, about 100 chariots and roughly 520 horses that were built in the year 280 BC to guard the tomb of the First Emperor. Visiting the site feels like you’re actually experiencing an ancient parade and although many of the weapons were stolen, the fact that no two faces are alike showcases the true magnificence of Chinese architecture and craftsmanship. 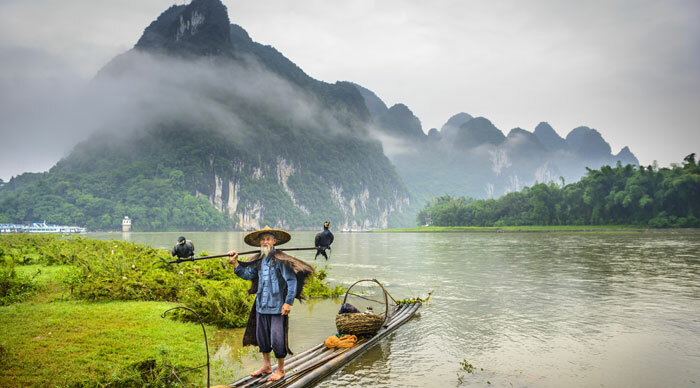 Li River has been attracting photographers, poets, artists, writers and nature lovers for generations. If you’re thinking of exploring the natural beauty of China, the Li River is one of the first places that usually comes to mind. The landscape is full of rolling hills, bamboo groves, edgy cliffs and sleepy villages and it always presents a serene mist-covered treat. Such is its beauty that it has also managed to attract famous personalities such as Bill Gates, Bill Clinton and George Bush. Longji Rice Terrace, also called the Dragon’s Backbone, was constructed under the rule of the Ming Dynasty approximately 500 years ago. The best time to visit the terrace is during the growing season when the terraces resemble lush green cables scattered around the hillside. Tourists can also explore the surrounding villages and experience rural China at its beautiful best. The most popular terraces are the Ping’an Zhuang and Jinkeng Red Yao. Ping’an Zhuang is the older and more beautiful of the two, but Jinkeng Red Yao is usually free of crowds and therefore, feels more serene and spectacular. 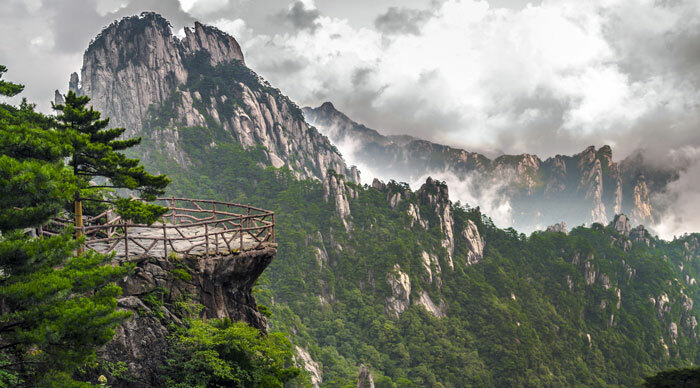 Yellow Mountains, also called Huangshan, is a scenic wonder that attracts visitors with its odd-shaped rocks, skin-loving hot springs, beautiful pine trees and jaw-dropping sunrise vistas. The area is usually covered in mist, and this makes those peaks seem like they’re floating on the clouds. Better yet, you don’t need to climb those 60000-odd steps to enjoy all that natural beauty. Thankfully, modern-day travelers can make use of cable cars to travel from the base of the mountains to one of the summits. And since Yellow Mountain is one of the most accessible national parks in China, it is almost always busy. 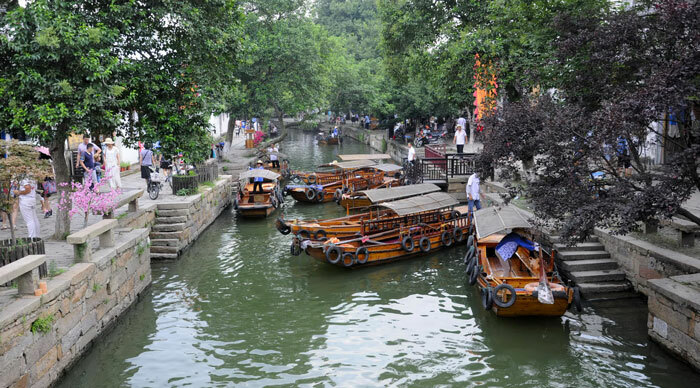 With a history of more than 900 years, this is perhaps the best water town to see in China. Popularly called the Venice of the East, Zhou Zhuang presents a network of rivers and streams that are dotted with ancient houses to create beautiful vistas and present a fairytale-like atmosphere. The Shide and Yongan bridges are the most popular attractions of the village, and those Chinese gondolas are perfect for your explorations. No trip to China is ever complete without meeting one its most popular inhabitants – the Giant Panda. You can see these pandas in a number of zoos around the world, but the best place to meet them is in their own backyard. The best place to see these pandas is the Bifengxia Panda Center, located at a distance of 2 hours from Chengdu. The center has a larger population of pandas and feels more natural. You can also visit the Chengdu Panda Center located much closer to the city. 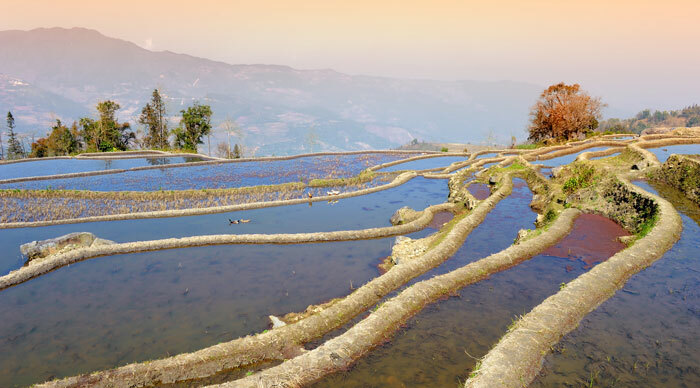 Hani Rice Terraces have been cultivated for more than 1000 years. The Hani people carved these terraces by hand and transformed a vast barren hillside into a breathtaking paradise. The hilltop forests are used to save water, which is then channeled down to terraces for irrigation purposes. The best time to visit the Hani Rice Terraces is between the months of December to March, when the rice terraces are flooded, and offer magnificent views of the area. A palace city where ordinary citizens were once denied entry is the perfect example of Chinese architecture at its beautiful best. 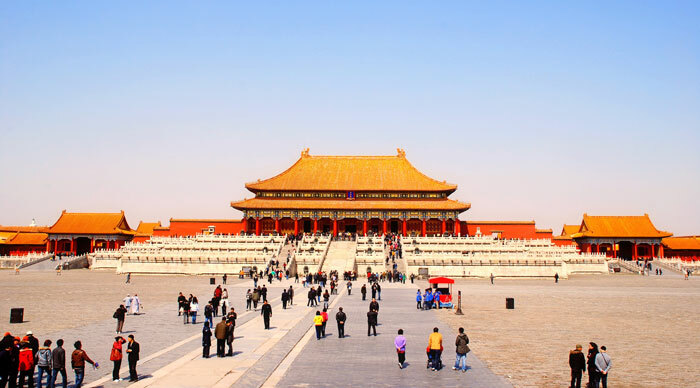 Famous as the most important building of China as well as the largest palatial complex on the planet, the Forbidden City was home to emperors of the Ming and Qing dynasties. It may be impossible to cover the entire city in a day, so you’d be better off sticking to popular attractions such as the Imperial Throne, Golden River Bridges, Hall of Supreme Harmony and the Hall of Preserving Harmony. 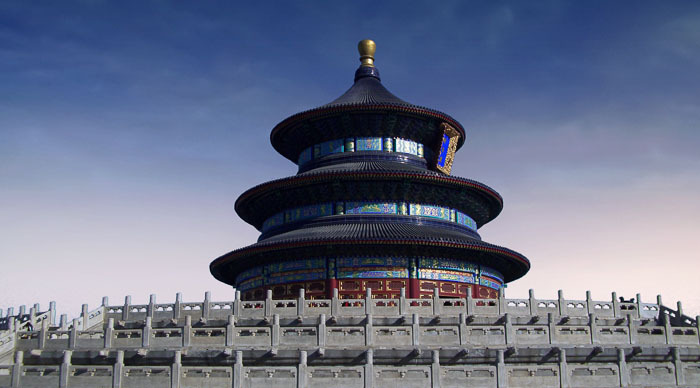 One of the most famous sights in Beijing, the blue domed Temple of Heaven is an architectural masterpiece that has been attracting countless visitors to the city for decades. The temple is located in a pine forest and it consists of 92 buildings which were once used by emperors to offer prayers to the gods of heaven for promising harvests. Today, it is also popular as one of the top kite-flying destinations in the city. The best time to visit the Temple of Heaven is early in the morning and the local scenes on display are worth waking up for. The Great Wall of China is by far the most popular attraction to visit in China. Famous as the longest wall on the planet, this magnificent feat of defensive architecture winds its way through steep mountains and the rugged countryside and leaves you speechless with its serpentine designs and breathtaking scenery. The wall stretches for a distance of 6000 kms. and averages a height of 6 – 8 meters. The Great Wall was built in the 7th century BC and some of the best-known areas were added in the year 210 BC. The most popular sections include the Badaling Pass, Mutianyu and Gubeikou. See the Great Wall of China, one of the greatest wonders of the world and a must visit site for your China trip. 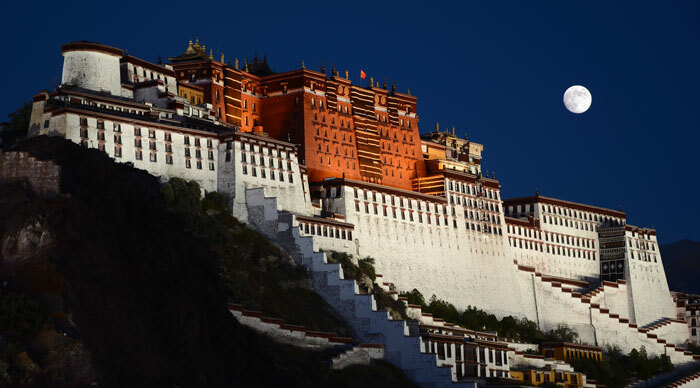 The crown jewel of Tibet, also famous as the winter palace of Dalai Lama until the Chinese invasion in the year 1959, has played an integral role as the center of Tibetan Buddhism over the years. The palace consists of 1000 rooms, including the living quarters of the Dalai Lamas and their golden tombs. It also showcases beautiful relics such as gifts from Chinese emperors and hand-written Buddhist scriptures. Don’t forget to visit the Jewel Gardens, a 90-acre garden that is a part of the palace and offers everything you could possibly dream of, right from pavilions and palaces to enchanting lakes. 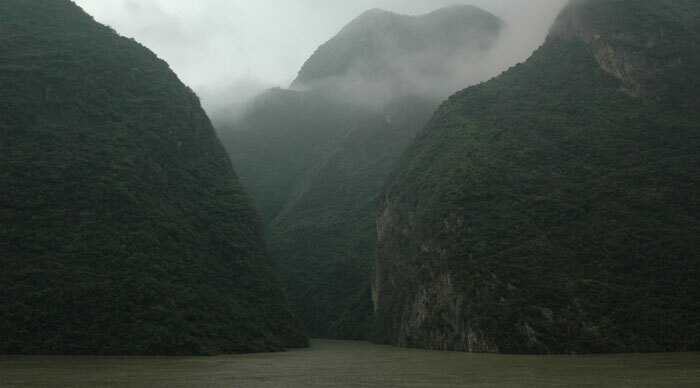 The Yangtze River, also known as Chang Jiang, runs for 6000 kms, making it the third longest river in the world. 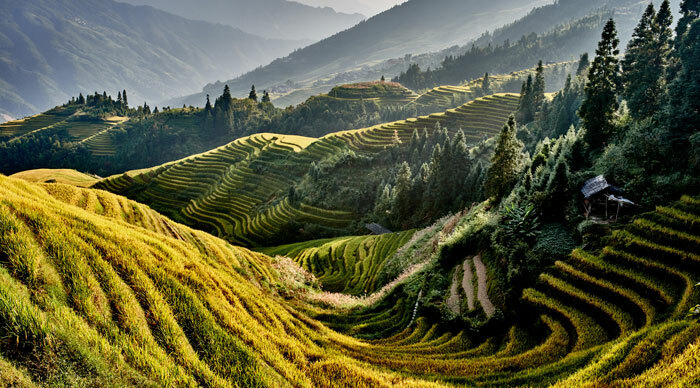 The Yangtze has been a source of life, transportation and civilization for the Chinese for more than 2000 years and it also encompasses roughly 1/4th of the total agricultural land in the country. The most popular part of the Yangtze is the Three Gorges, a stunning 200 km. stretch that winds its way through mesmerizing mountain peaks and majestic cliffs to offer dramatic sceneries. The river is also home to some of the most endangered species of China, such as the river dolphin and the Chinese alligator. 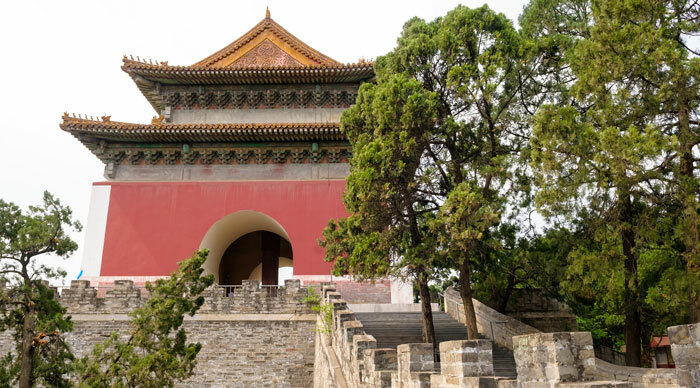 Located at the foot of the Tianshou Mountains, the Ming Tombs present mausoleums of 13 emperors of the Ming Dynasty which ruled China between 1386 and 1644. The tombs cover an area of 120 sq. km. and represent the best-preserved tomb area having the most number of emperors buried. What makes the Ming Tombs so unique is that a great deal of effort was placed during construction to ensure that they were in harmony with nature and reflected the principles of unifying heaven and humanity. The few tombs that are currently open to the public include the Sacred Way, Zhaoling Tomb, Dingling Tomb and Changling Tomb. 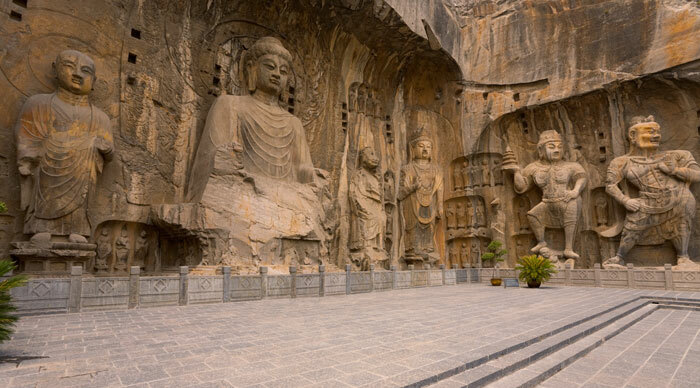 Located along the Longmenshan and Xiangshan mountains, the Longmen Grottoes are another popular attraction in Central China. The grottoes consist of 40 pagodas, 2100 niches, 3600 tablets and more than 100,000 Buddhist statues ensuring that the photographer in you is sure to have a field day at the site. The Statue of Vairocana located in the Fengxian Temple rises to a height of 56 feet, and is by far the most popular attraction here. Most people visiting China tend to get stuck to exploring popular sites such as the Forbidden City and the Great Wall of China, without ever realizing that this magnificent country has so much more to offer. Throwing in an attraction or two from this list into your itineraries could add so much more value to your journeys and make your Chinese adventure even more memorable. 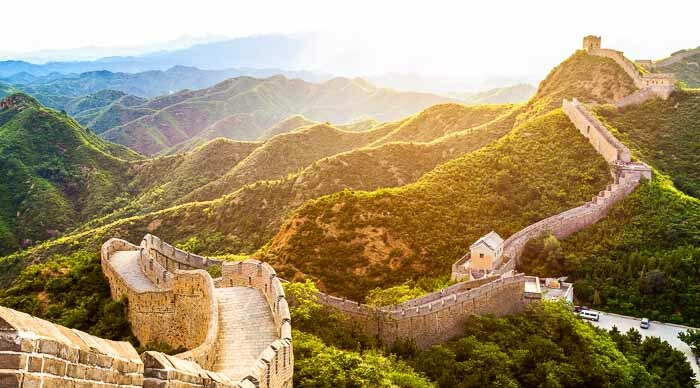 From ancient cities to majestic mountains, from historic temples to breathtaking rice fields, China is full of all kinds of attractions, and for the most part, Bookmundi has you covered!